A few years ago, my friend Kiera Cass wrote a book for young adult girls called The Siren, featuring a mostly lavender cover with fanciful script font and a pic of a woman in soft focus wearing a flowing white dress standing by some gentle water. It was the very image of masculinity, so I bought a copy. No. I bought a copy because Kiera is my friend, and I wanted to support her. I even promised to read the book on an upcoming trip I was taking. Obviously, I could not be seen in public toting such a thing, so I manned it up with some camo duct tape. And are those condescending thoughts I remember having? Oh look, Kiera SELF-published a book. Not quite like getting a publisher (or two) to publish your book(s), but good for her! 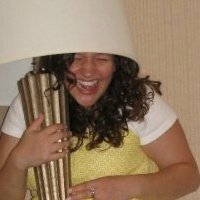 That was 2009. 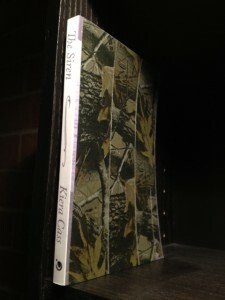 Today, one of my books is already out of print, and Kiera Cass just became a New York Times Best-selling author. So there ya go. 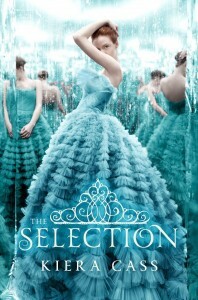 Her teen fiction novel, The Selection, published by Harper (yes, the one and only), debuted (!) in the top 10. Do you realize how few people ever accomplish that? It is an extraordinary achievement. I wanted to know how Kiera did it and how she is dealing with it, so I exchanged messages with her the other night. She gave me permission to share her thoughts here. MATT: First, how are you handling the madness around you? KIERA: I guess I’m handling everything … ok? I don’t know! The funny thing is that even though it’s this huge deal and I’m super proud, nothing has changed. Tonight, I still had to run to my church small group, and my son Guyden is demanding milk and bananas, and there was laundry to fold. You know, same old same old. So it’s kind of funny. MATT: Ok, so HOW did this madness happen? I mean, obviously, the book is good or people wouldn’t be buying it, but how did it get so big so fast? How did you get an agent, when almost no one does? How did you get a big publisher, when almost no one does? How did your book break through to the top of thousands, when almost no one’s does. I mean, this is incredible, and you did it without any major connections, right? I got my agent the old fashioned way, sending out queries. For The Siren, I sent out 80+ queries, had 10 agents read it, and no one wanted it. For The Selection, I sent out 13 queries, 2 agents wanted it, and I got to pick. Until I got her, though, I didn’t know my editor already had a few bestsellers on her hands. And she’s been promoted twice since I’ve been with her. Some of this has to do with timing, I think. The Selection has been compared to The Hunger Games a lot, which is huge right now. But when I queried, The Hunger Games wasn’t The Hunger Games, ya know? My book just happened to come out at a time when people want something that gives them that same buzz, I guess? My book isn’t that much like The Hunger Games to me, but I know that the comparision has interested a few people, so that might be part of it, too. So, honestly, it just kind of happened. I don’t think I could have made it happen this way if I tried. Crazy, yes? And I can’t even dance around because I have edits due Monday on the next book that I am WAY behind on. And I’m off to work on that now! So, there ya have it folks, from Kiera herself. Oh, and did I mention CW is making a TV show out of her book? Yeah. Congratulations, Kiera! You rock. Very, very excited for you. And when I write my teen girls fiction novel, I know who to go to for connections.